Want some help with customization decisions? Are you stumped by some part of your instructions? Maybe you just want to get some ideas? The kit plane advice you are looking for is here. There are a lot of experimental aircraft builder’s web pages out there. Most of them are kind of a log with lots of pictures showing the progress and small discussions about how things worked. I built this site a little differently. I concentrate more on the issues that came up when I was building, and maybe provide you with some words of advice so you won’t make the same mistakes I did. I want to help you over the parts you might think are tough. I concentrate on the spots that gave me trouble, and show how I figured out what to do. If this sparks your interest and you have trouble spots that I haven’t covered somewhere on this site, write to me. I would be glad to add something to the web site. I’m building an RV-8 from Van’s Aircraft. This site is centered around the construction of that plane. Still, there’s plenty here for you no matter what you’re building. I think you’ll find the kit plane advice and help you’re looking for here. February 2012: It’s been quite some time since I posted an update. That doesn’t mean I haven’t been busy. I worked more on the Rotary engine, but could not get the performance I was looking for, so I swapped it out for an IO-360. I’ve finished Phase One, and am now enjoying a full-up airplane. I’ve been busy flying friends and family. I’ve got the wheel pants, fairings and cowling done enough to fly with, but they still need some work before painting. See the latest on that here. I also have an update on the strobe lights. The interior is still rough, but usable. I have all the parts, but still need to install the inverted oil system. And I am sure that once these things are done, I’ll come up with more. Would you like to share your knowledge about kit plane advice? Contribute to www.kit-plane-advice.com! 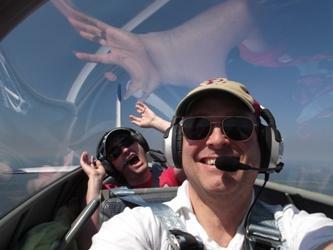 Do you have the mental attitude needed to complete a homebuilt airplane? Is it more economical? Should you build or buy? These tools and tips have proven invaluable in the successful construction of my kitplane. Your assembly order may very well be influenced by something particular with your building situation and circumstances. For example, I had to install the top skins and canopy long before I really wanted to so I could safely transport my project cross country. But if nothing else got in the way, what would be the perfect order? The Vans Tail Kit has really improved. The directions are straightforward and well written. This is the logical place to start your kit plane construction. Advice for building the Wing Kit for a Vans RV-8. This could also prove valuable to builders of other Vans or aluminum kitplanes. Building the new match drilled fuselage is a much easier, quicker process than before. A lot of the hard parts to build, and difficult spots in the construction, have been fixed. This article gives specifics for the RV-8, but much of what is in here is applicable to other aircraft too. I think the real reason Vans made the Finishing Kit is the big bubble canopy. If they had shipped the canopy with the fuselage kit, I&#8217;m sure mine would have been scratched or damaged some kind of way before I was ready to install it. It was a good idea to make it a separate kit and send it at the end. There are of course a few other things in the kit, like brakes, wheels, and a lot of fiberglass. In this section, I want to talk about the final assembly of the aircraft itself. In the other sections, I have discussed building the parts, now it is time to put them together. You could say this is the &#8220;Some Assembly Required&#8221; section. Advice on the Aircraft Electrical Systems I installed in my Vans RV-8. Plus helpful hints, tips on dealing with trouble spots, and things I would do differently. Builders of other Vans kits, or other aluminum kits, will also find this useful. 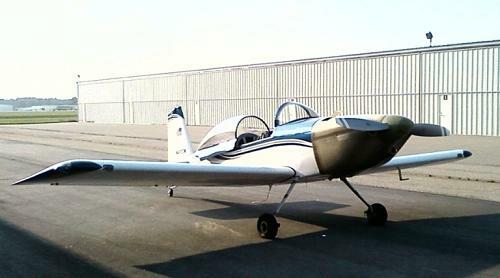 The beauty of experimental airplanes is that we can make custom kitplane modifications without having to go through all of the FAA hassle required by Type Certificated Aircraft. We can just make a change, or bolt in an add-on because it makes sense, or just makes us happy. No Form 337 to fill out, no field approval from the local FSDO, no hassle at all. You have to love it. Would you like to share your knowledge about kit plane advice? Great, find out how you can submit your story or tip here.